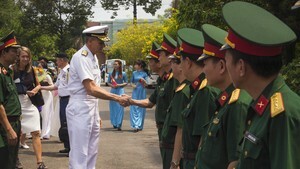 The country’s longest sea bridge opened to traffic on trial in the central province of Binh Dinh on Wednesday. 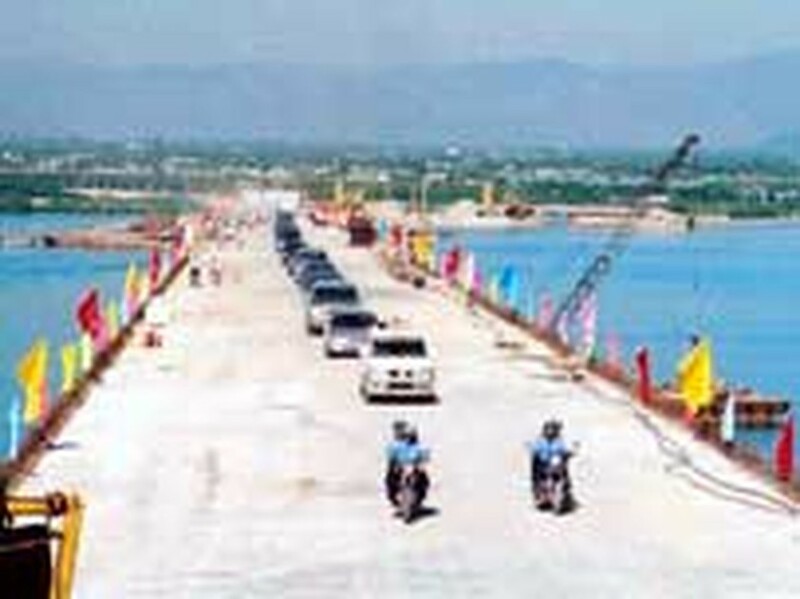 A 2.5-kilometer-long bridge linking the Phuong Mai Peninsula with Quy Nhon city started its construction in October 2003 at a cost of US$22.5 million. The Transportation Works Company 473, teamed up with the Bridge Construction Company 12, spent 3 years to build the bridge. Employing Swedish and Australian technologies, the 2.475km, 15.5m-wide bridge can take 80-ton vehicles. It is expected to bring more investment into the peninsula’s Nhon Hoi Economic Zone as well as accelerate social and economic development of Binh Dinh province. The bridge is expected to be officially opened to traffic on December 22.